Click on images to enlarge them for better viewing. 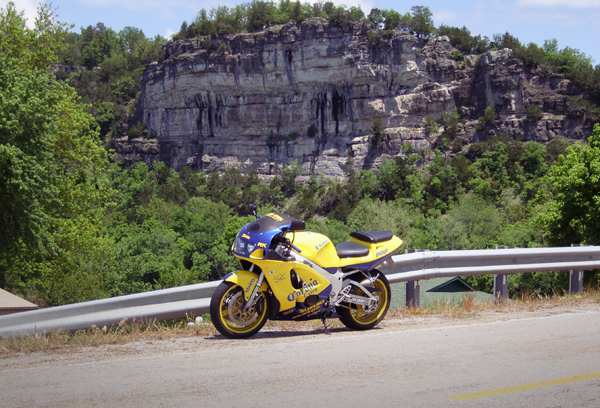 Here's proof that there is great riding in the northern Ozarks above Springfield. 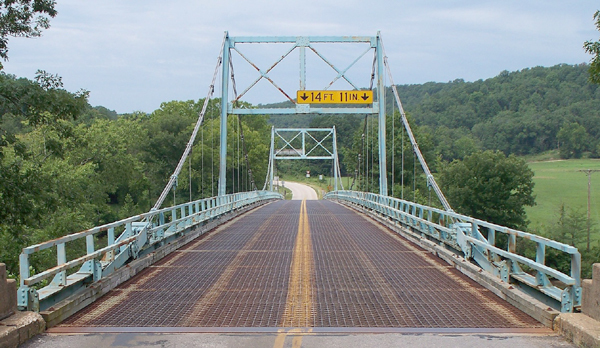 This is a photograph by Ray Tucker of a beautiful bridge on MO J Highway, west of Lake of the Ozarks, north of Mack's Creek, Mo. Thanks for the shot, Ray. Makes me want to ride across it and see just where that winding road leads. 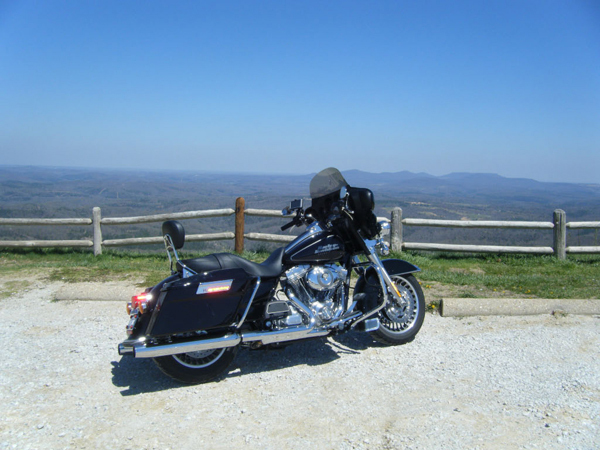 Here is a great photo from Josh McAnally's Ozarks ride, along with a dining suggestion for around Mountain Home. "The Blu Pig is located between Mountain Home and Henderson on Teal Point Rd. Amazing smoked foods, blues music, and cold beer. They actually have live music Friday and Saturday! " Thanks for sharing your ride, Josh. Beautiful Sunset by Mark Hopkins on June 28, 2008 after Ride for the Cash Poker Run in Harrison, Ark. on Scenic 7. This shot was from outside his room at The Hub (motorcycle resort) on Ark. 7. 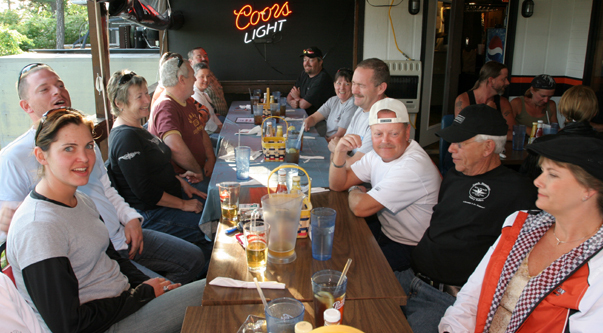 A scooter rider's club from Vespa of the Ozarks in Rogers took a small break at the junction of Ark. 12 and Ark 127 during a recent outing. Ark. 127 is a great stretch of road with enough twists and curves to challenge any rider. But these riders were up to the task. 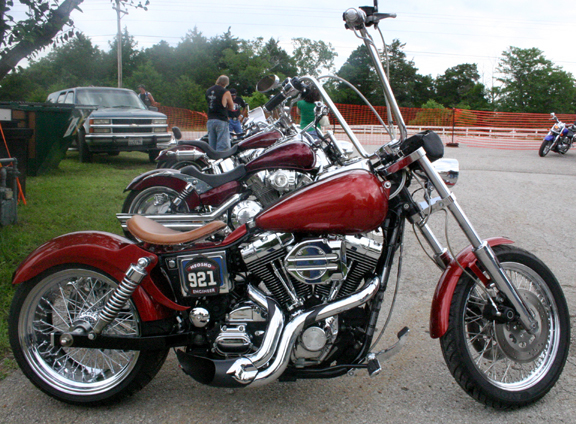 Nearly a decade ago, the 2008 Thirteen Rebels swap meet and bike show in Eureka Spring drew over 800 bikes. Here are a few shots from the July 12th event by my buddy Dave McNeal, sports writer and photographer at the Carroll County Newspapers and Valkyrie rider. 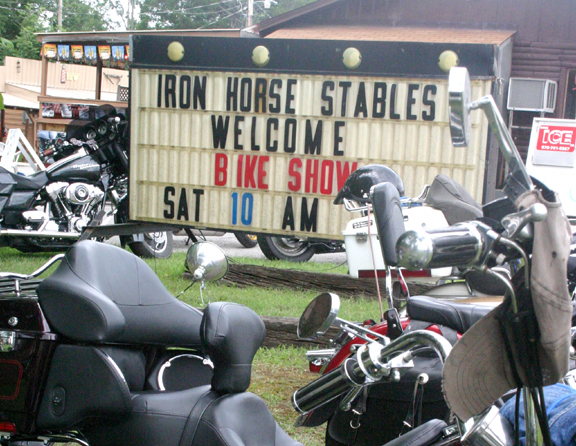 The event was held at Iron Horse Stables, the original motorcycle resort, between Eureka Springs and Berryville. This group of Oklahoma riding friends out Cruising the Ozarks sought shelter from a passing shower under an awning next to 302 on the Square, a local restaurant. 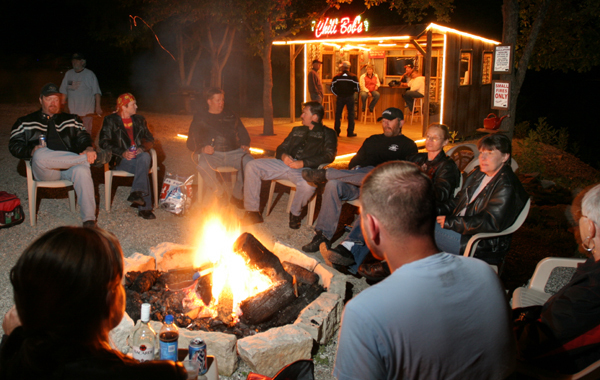 These riders found the hospitality of the Ozarks welcoming and the riding great. so will you. 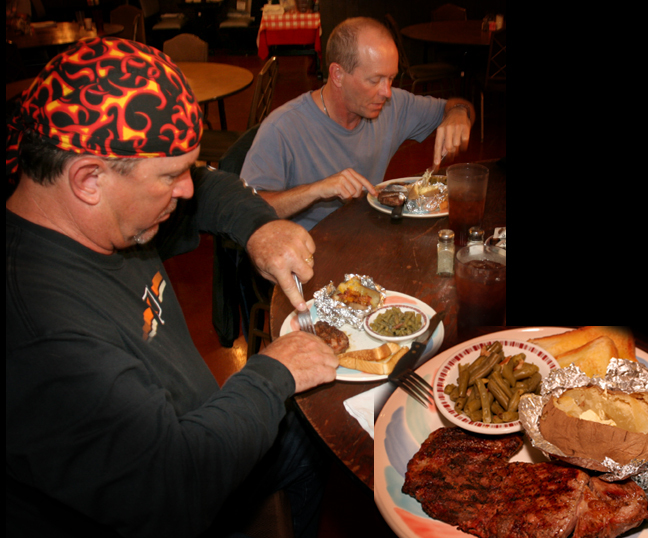 Another Don Hale picture of a popular stop for riders visiting Eureka Springs... Bubba's BarBQ. 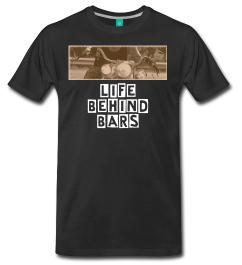 Of course, there are a lot of other popular rider hang-outs. Don Hale took this picture just outside of Eureka Springs on one of the great Autumn weekends we've had (notice, we don't use the word "fall" in this website when referring to the season.) Thanks, Don. Look for more of his pictures here in the future. 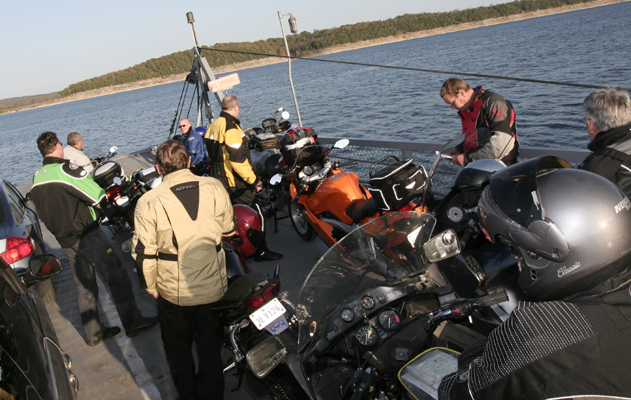 A BMW Riders' group cross Bull Shoals Lake on the Peel Ferry (Ark. 125) to enjoy the late Autumn weather. The ride across the lake take about 15 - 20 minutes not including waiting time. It's a great way to enjoy the lake area on the last ferry in the state. 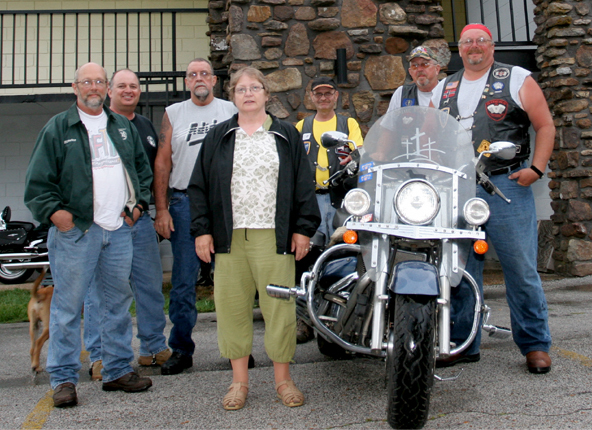 These riders were headed back to their rally in Eureka Springs and had been riding the great roads in Missouri around the watermills in Ozark County, Mo. 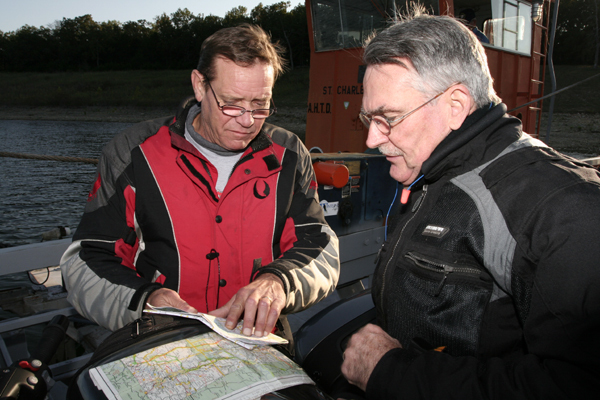 The Young brothers, Woody on the left and Bart on the right, motored to the Ozarks from San Antonio and Tyler, Texas, and landed at the Hub, on Arkansas Scenic 7. "The last time we visited here was when I was a kid in the '60s," Woody says. 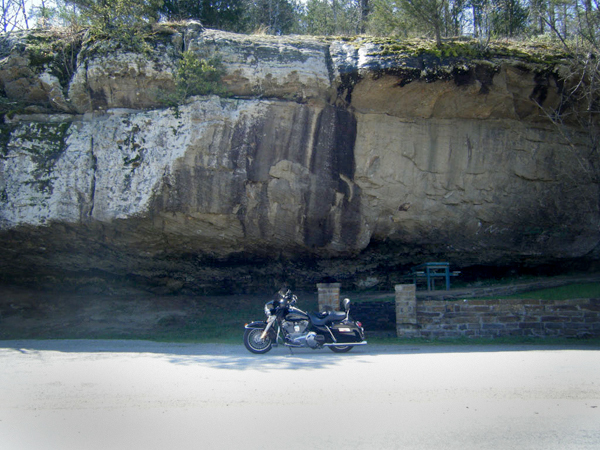 They found the roads in the Ozarks scenic and fun to ride. Click on their picture to see one other thing they liked about their stay at the Hub. 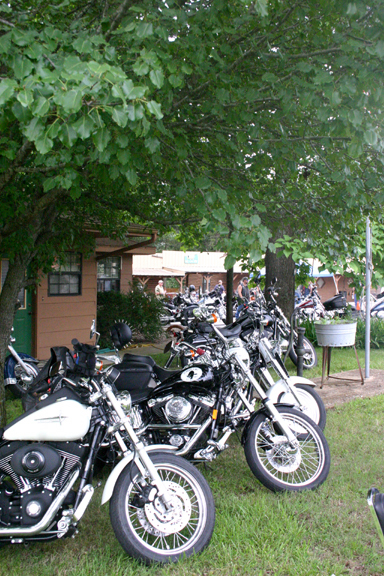 LC Riders Rally at the Hub on Arkansas Scenic 7. 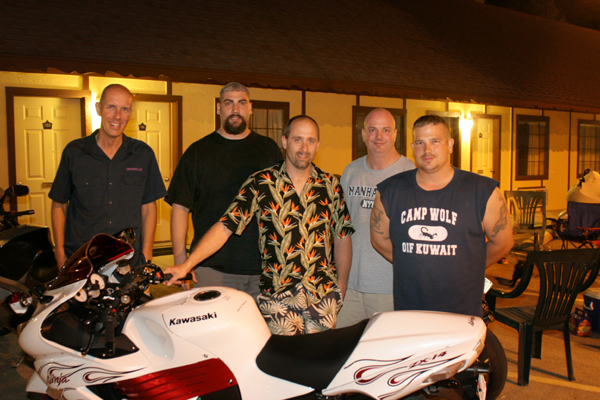 Far left: Some LC riders who also ride Wings can tag along, if they behave themselves. 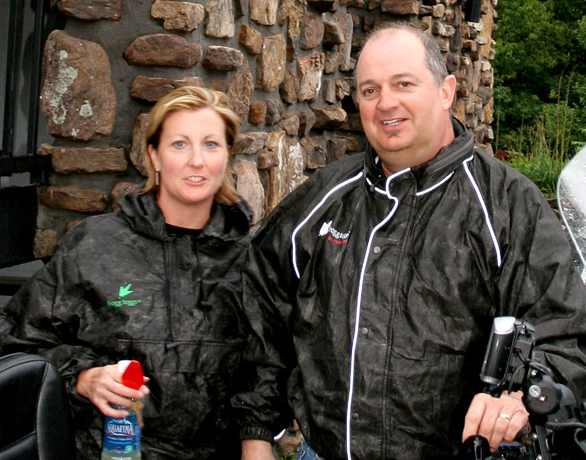 Near left: These LC Riders were the remnant who braved the rains and foul weather to the bitter end. They look in pretty good shape. 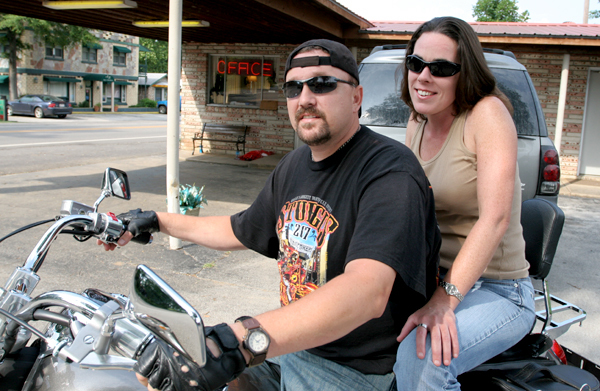 Central Arkansas riders love to come to the Ozarks. This Benton couple made it to Jasper for a weekend of riding fun. 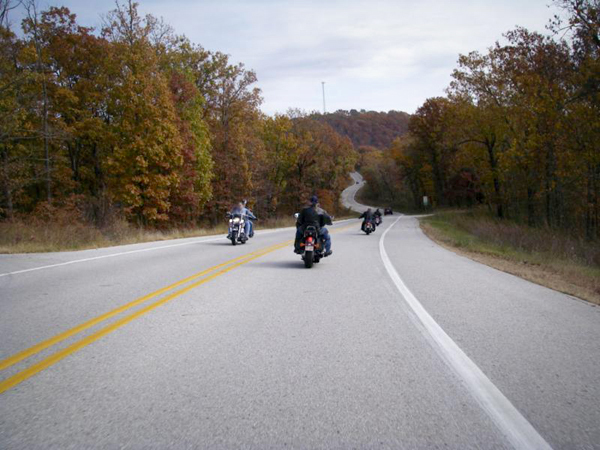 Far left: There's only one thing better than riding in the Ozarks with a buddy. Near left: And that's riding in the Ozarks with your no. 1 riding buddy. These three were from Missouri but they were in Eureka Springs with the SE Kansas riders... Guess those Kansas riders will welcome anyone into their group. 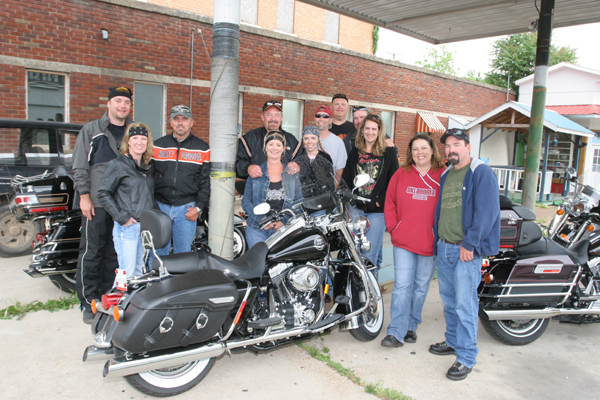 A few members of the Two-Wheeled Texans club beside their bikes during their rally in Eureka Springs. These riders were all from... uh, Texas. 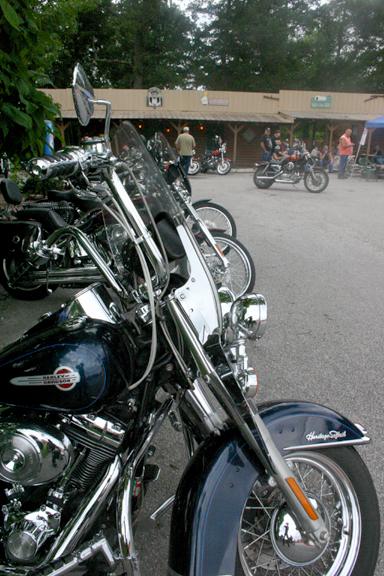 Victory riders from all over gathered for their 3rd annual "Victory in the Ozarks" rally in Eureka Springs. They enjoyed the roads, the food and the fellowship. 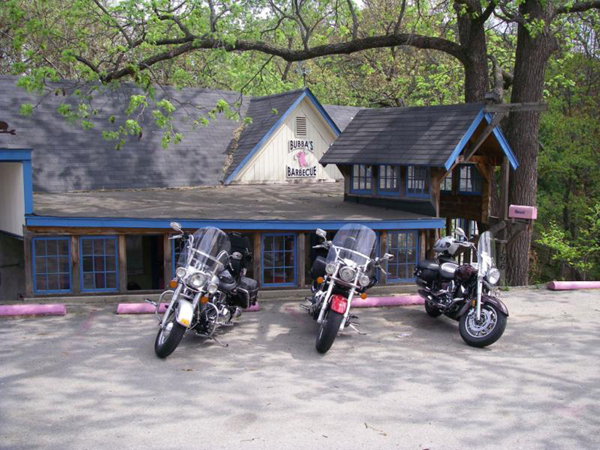 ZZR Riders enjoy Eureka Springs (even with their Ninja riding buddy). Visit their website www.zzrriders.com to read about their Eureka rally. 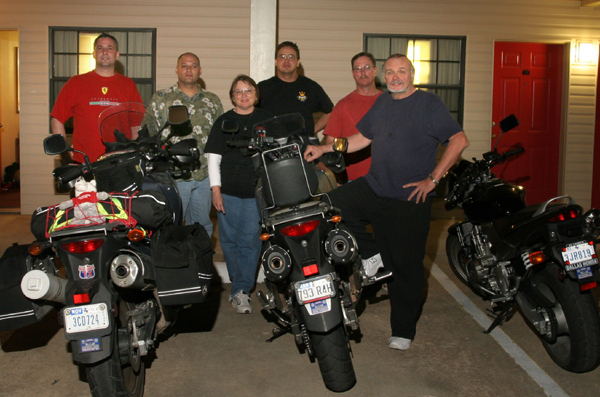 Some friendly riders from the Lone Star State. Enlarge pic for a little SHAMELESS SELF-PROMOTION! 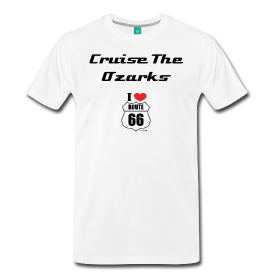 Arkansawyer Don Hale loves riding the Ozarks. Here are some of his pictures and words. 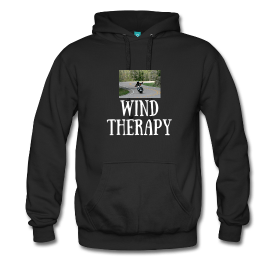 "I rode over to Jasper yesterday, the weather was great. 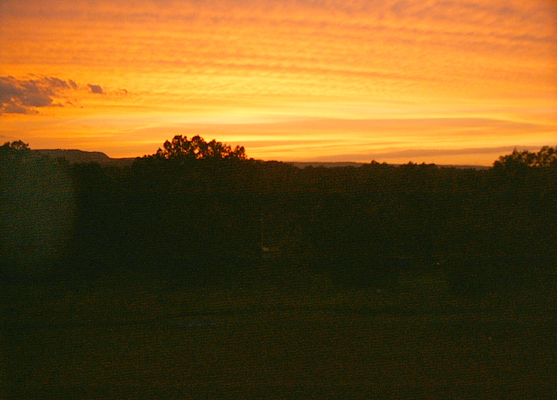 I took Hwy 74 thru Boxley Valley. Stopped to take a shot or two. The came home via Hwy 7 and had to stop at Arkansas's Grand Canyon. I must say, Hwy 74 doesn't get much mention but it is a great highway to ride. What a great day!" Note: To those unfamiliar with the wildlife situation in the Boxley Valley, several years ago a program was started to reintroduce elk to the area. As you can see from Don's photo, it has been quite successful. Thanks for the pics Don.